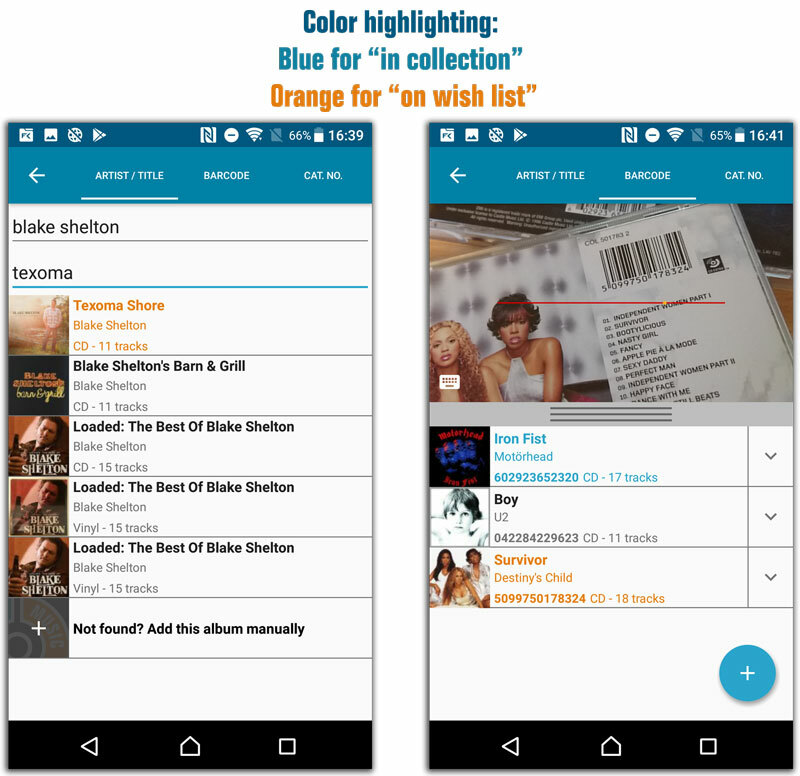 Color high-lighting: Albums already ‘on wish list’ now have an orange title, albums already “in collection” show up with a blue title. Slightly smaller font for the album title, so that longer titles fit better. Crash when adding an artist to an album when the add manually screen was opened by tapping the “Not Found?”-cell in one of the the add auto screens. After restarting the app it would sometimes repeatedly scroll to the last added album.